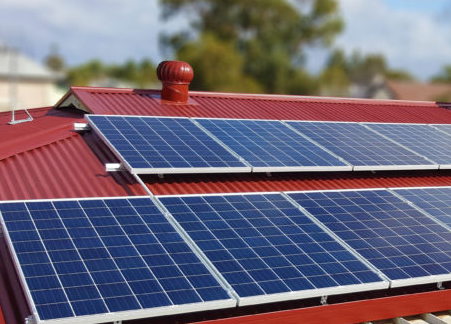 The people of Hepburn Shire LOVE solar. And they’re loving the Hepburn Solar Bulk-Buy (the sister bulk-buy of MASH). 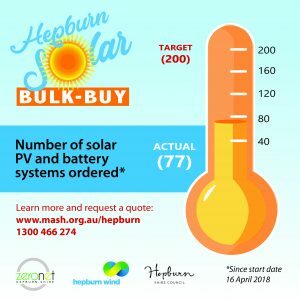 Since 16 April when it launched, this bulk-buy is exceeding expectations with 77 systems ordered, adding 439kW of solar capacity for the Hepburn Shire. The total net dollar value invested by households so far is $625,000. Interestingly, the average system size is 5.8kW. 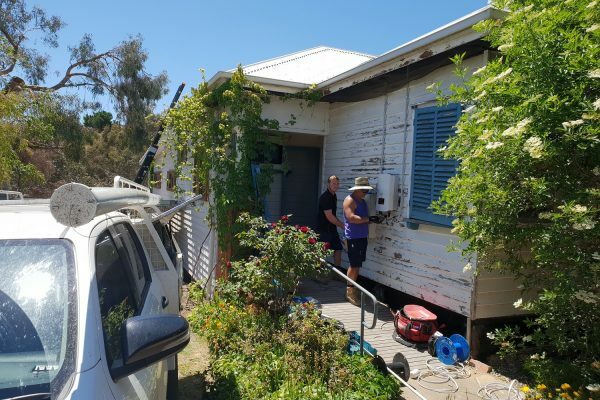 This is much larger than the average 3kW system the MASH program was installing 4 years ago; an indicator of the the ever-improving payback that households can get from going solar. Battery uptake has also been strong, with nine Tesla Powerwall 2 batteries ordered to-date. For more info, visit mash.org.au/hepburn or call us on 1300 466 274.